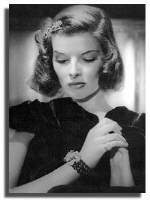 They say that nobody lives forever, but Katharine Hepburn won't be forgotten. The first lady of Hollywood past away on June 29, 2003 at the age of 96 in Old Saybrook. in a motion picture, A Bill of Divorcement. She was known for her portrayal of strong women at a time when many believed that such images were box office poison. Her relationship both on- and off-screen with actor Spencer Tracy (films from 1942-1967) were a matter of some notoriety. During her lifetime she played in more than 50 movies and won four Oscars for her acts in "Morning glory" (1933), "Guess who's coming to dinner" (1967), "The lion in winter" (1968) and "On golden pond" (1981). The latest movie in which she appeared was in 1994 (when she was at the age of 87) and titled "Love affair". The American president George W. Bush was on off the first to honor the Hollywood legend. He said that the American people will remember her as one of the nation's artistic treasures. 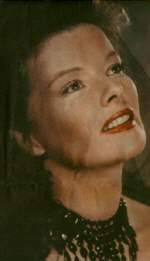 If you know a good Katharina Hepburn page, than share it allong with us, we will put the links on this page and also on the section "links" that you can find under the section "Site search". Katharine Hepburn needs someone to support, challenge and interact with. Henry Fonda is the best thing that's happened to her since Spencer Tracy and Humphrey Bogart. From 1932 to 1999, Katharine Hepburn appeared in more than 43 films and dozens of stage and television performances.